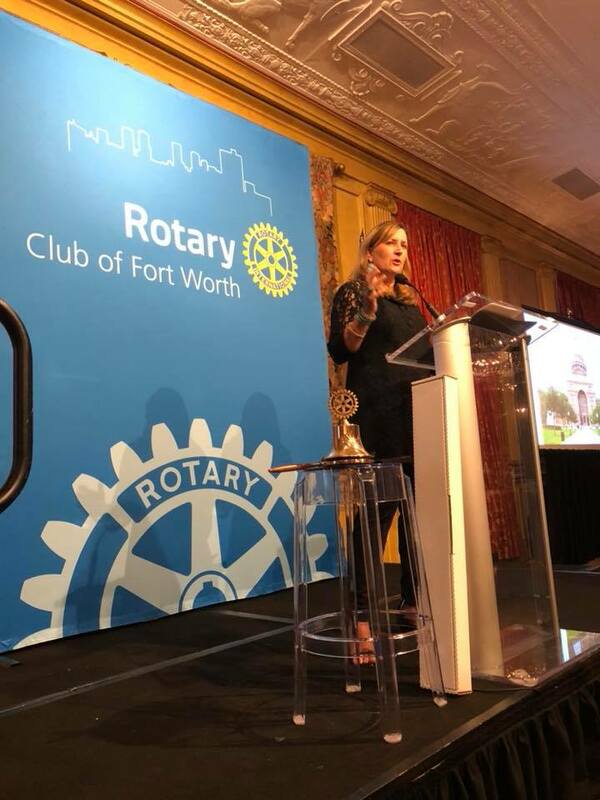 Born in Kerrville, Texas, Konni was raised in the tiny South Texas town of Banquete where her father served as the high school principal and her mother as the school secretary. Konni attended the University of North Texas and graduated with a BBA in Marketing. There she met her husband Phil who also graduated with a BBA in Marketing. After marrying, Konni and Phil made Tarrant County their home. Konni went to work for Olmstead-Kirk Paper Co but after several years there, the drive to start her own business led her to open her own wedding consulting business, Weddings Ltd.
During that period, Konni and Phil began their work with The Gladney Center for Adoption in Fort Worth. Konni volunteered her time and energy to the center and held leadership positions on the Auxiliary Board. After their first daughter Tori was placed in their arms, Konni decided to become a full time mother and stepped away from her business. Konni and Phil adopted their second daughter Faith, another “Gladney Baby”, four and a half years later. The Burtons joined Calvary Lutheran Church in Richland Hills upon moving to Tarrant County. Konni has served on the Church Council, with her husband and children taking active roles in the church as well. They have been members there for 30 years. Even though Konni was a lifelong Republican, she grew frustrated with the ever increasing size and scope of all levels of government by politicians in both parties. Motivated to take action, Konni became involved in local grassroots groups and campaigns, block walked, organized events, and donated money to advance candidates that espoused her shared belief in limited government, personal liberty and free market economics. Konni served as one of Ted Cruz’s top organizers in DFW during his historic 2012 campaign for U.S. Senate. Eventually, Konni’s involvement in politics led her to successfully run for the Texas State Senate. Frustrated by having a far-left Democrat representing her in the Texas Senate, Konni decided to run for the seat herself. Konni would go on to secure the Republican nomination amidst a crowded field and was then successful in winning back the district from the Democrats the following November. 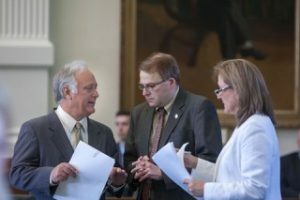 While serving in the Texas legislature, Konni took on the big fights to swing the pendulum of power from the government back to the people. Always an advocate for the taxpayer, Konni became the strongest proponent in the legislature for ending the practice of taxpayer-funded lobbying, which saw peoples’ hard-earned tax dollars used by local governments to hire lobbyists and many times work against their interests. Konni also led the charge against corporate welfare programs which dole out sweetheart deals to big business off the backs of taxpayers. 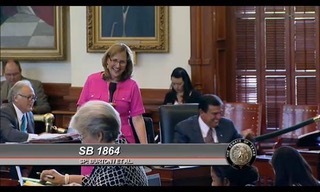 Konni received the first committee hearing in the history of the Texas Senate on repealing 313 property tax abatements—the state’s largest and most abused corporate welfare scheme. 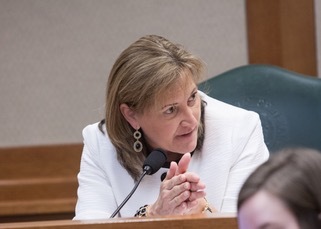 While these fights made Konni unpopular amongst the ‘business-as-usual’ crowd in Austin, bringing attention to these issues now has citizens and legislators alike, continuing those fights. Outside of her fierce advocacy for the taxpayer, Konni also made an indelible mark on the state’s criminal justice system. 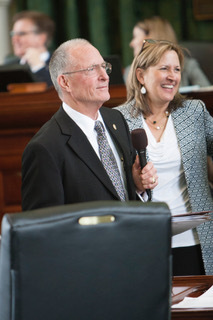 In short order, Konni became the Republican leader in the Texas Senate for criminal justice reform, passing many important reforms into law. And while unsuccessful in her efforts to repeal civil asset forfeiture, Konni’s uncompromising pursuit to do that has paved the path for others who are now picking up the mantle at the State Capitol. 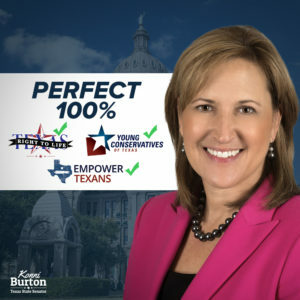 Throughout the course of her service, Konni received the support of every conservative grassroots organization across the state, including Texas Right to Life, Texans for Fiscal Responsibility, the National Rifle Association/Texas State Rifle Association, Grassroots America: We the People, Texas Values and Young Conservatives of Texas. Her absolute commitment to her constituents and conservative principles earned her the enthusiastic support of Texans across the state. An activist at heart, Konni’s passion for limited government, individual liberties and free market principles, means a lifelong engagement in the fight to protect these values.